Three outstanding Lakehill teachers were named as finalists for the 2018 Greater East Dallas Chamber of Commerce Teacher of the Year Award. 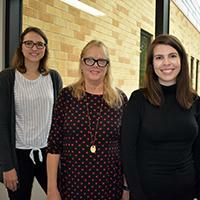 Laura Gigliotti (Lower School), Kaye Hauschild (Middle School), and Jennifer Herta (Upper School) were nominated by their colleagues and peers for this prestigious award. Each year, the Chamber recognizes six teachers from the community who are making a positive impact in the lives of students and leaving an indelible mark on their school. Nominees must display excellence in professional practice, community engagement, leadership in professional development, and attention to diversity. Recipients of this award have made significant contributions towards innovative, unique, and novel programming. Nominees and award winners will be recognized on November 13, at a Chamber luncheon in their honor. Kaye Hauschild was selected from nearly 50 nominees as the Private Middle School Teacher of the Year and will receive special recognition at the ceremony. Congratulations to these outstanding educators. Lower School students and teachers showed off their creative costumes on October 31, during Lakehill's annual Halloween parade. Second grade student Aidan Deason led the procession through the building, before continuing to the gym for the Carnival. The coveted position of Parade Leader was sold at last year's PFC Benefit Auction. Parents, students, and faculty members lined the hallways to capture the moment and cheer on the children. 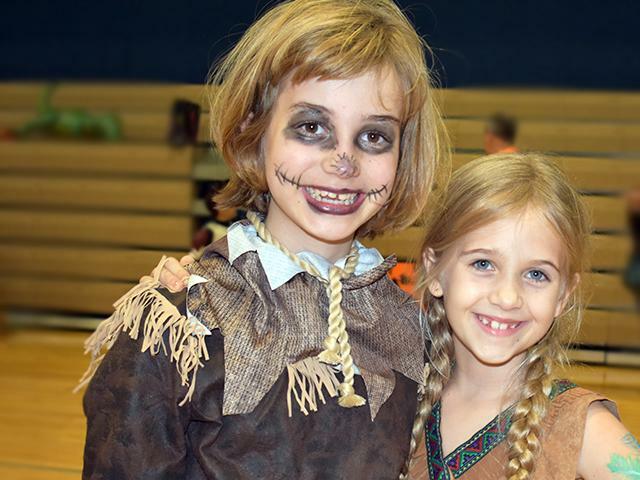 Following the parade, the Parent Faculty Club (PFC) hosted the Halloween Carnival, complete with a fortune teller, bounce house, craft table, face painting, and a variety of games, old and new. Thanks to Susan Widhalm and Shelley Shook for organizing the event and all the parents who came out to help. The eighth annual Dads' Club Chili Cook-Off, sponsored by Comerica Bank, is scheduled for Friday, November 2, at the Warrior Athletic Complex. Chefs will begin set-up at 5:30 p.m. 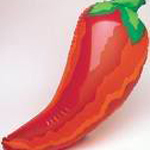 The Chili Cook-Off gets into in full swing at 6:00 p.m. and $5 buys a taste of all the delicious entries. Our expert panel of judges will determine the Grand Champion of Chili to be announced at halftime. See the Official Rules and download the Entry Form. We encourage you to register your entire family as soon as possible! Last year over 300 runners participated in this fun, family-friendly event which raises money for campus technology. Registration is $30 and includes a 2018 Trek for Tech T-Shirt. The grade with the highest percentage of participation in the race will win a Chik-Fil-A party! Grades four, six, seven, and eight are neck and neck for the lead. The Tribes (Red, Yellow, Green) with the highest percentage of participation in the race win bragging rights and a goody bag! The Yellow and Red Tribes are currently in the lead. 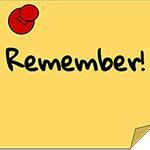 Enjoy the Pasta Lunch on Friday, November 2. Just $5 buys pasta and pizza - and all proceeds benefit Trek for Tech! Wear your Trek for Tech t-shirt on Friday, November 2! 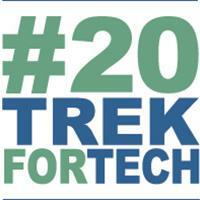 Find out more about this year's Trek for Tech. 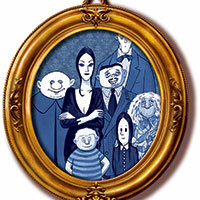 Lakehill's talented musical theater students will bring The Addams Family to the Lakehill stage on Saturday, November 10, at 7:00 p.m., and Sunday, November 11, at 2:00 p.m. A preview of the musical will be performed for students on November 9, at 8:45 a.m. Buy tickets here . 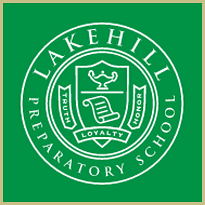 Lakehill welcomes grandparents, parents, and special friends to the annual Grandparents Day Celebration on Friday, November 16. The festivities begin at 8:00 a.m. with a breakfast reception in the cafeteria. The program, which includes performances by various student groups, will begin at 9:30 a.m. in the auditorium. School is dismissed at 11:00 a.m. for Thanksgiving Break, and there is no after-school care. Stock up on new books for the holidays at Lakehill's Scholastic Book Fair which will be held in the Walt and Anne Waldie Library. It will be open from 7:30 a.m. to 4:00 p.m. each day. Enjoy an advance preview and purchase books following the Grandparents Day celebration on November 16. Watch for more information about the Book Fair and get ready for fun events every day. A special author visit will be held on Thursday, November 29. Come in your PJs for popcorn and storytime to hear Jaclyn Amend, author of Goodnight Lakewood . Storytime will begin promptly at 6:30 p.m., with a book signing to follow. 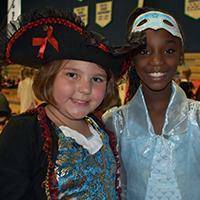 Lakehill wrapped up its fall collection of Box Tops for Education on October 25. Ms. Rasheed's third grade class took top honors with 642 box tops. The kindergarten class came in second. 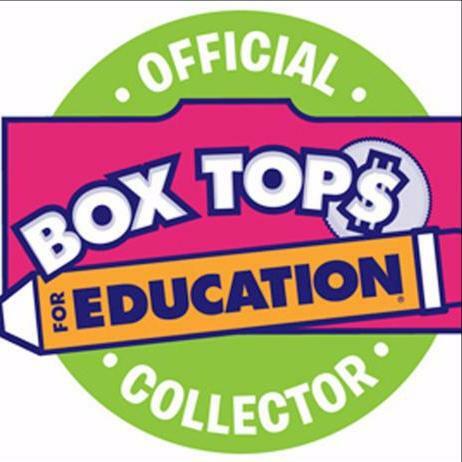 The money generated from the collection of Box Tops has been used for everything from new playground and sports equipment to the Buddy Bench on the Lower School playground. Thanks to everyone who collected box tops this fall, including the Middle and Upper School students who supported the drive. Don't stop saving your box tops - a new deadline will be announced soon for spring! 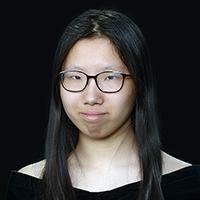 Xinsheng Dan, or Nicole, is a exemplary student who has attended Lakehill since the second semester of her freshman year. Her favorite subject is math because she feels a sense of accomplishment after solving a really complicated problem. Nicole has participated in Math Club, International Club, Choir, and Varsity Tennis. Outside of school, she enjoys reading books and watching movies. Her favorite movie is Spirited Away. Nicole has earned many awards while at Lakehill, including the Headmaster’s Honor List. She also was inducted into Lakehill’s National Honor Society last year. Nicole is interested in studying business in college. She has applied to the University of Texas, Purdue University, and University of California Santa Cruz. Her favorite Lakehill memory is from the Biology Trip last year, where she enjoyed seeing the fossils and observing the moon through a telescope. The Varsity Football team traveled to Waco on October 26, and won a decisive 60-14 victory over MCH High School, ending the game at halftime. Ben Palmer and Ryan Henry had big nights on offense along with Mitchell Crow who caught a touchdown pass, threw two touchdown passes, kicked a 30-yard field goal, and had an interception he returned for a touchdown. Nathan Lewis also threw two touchdown passes in the victory. Gaige McKnight rushed for two touchdowns and had a big night on special teams and defense. Luka Varnes was perfect on extra points and did an excellent job on kick offs. On defense, Logan Stout had a fumble recovery, William Leake made four tackles on kick-offs, and Jonah Shaw had a big night on defense with an interception, bubble recovery, and several tackles. With this, their fourth consecutive victory, the Warrior raise their record to 5-2. The Warriors to defend their home turf on Friday, November 2, against San Jacinto Christian Academy in their final game of the season. Kick-off is at 7:00 p.m., preceded by the Chili Cook-off at 6:00 p.m. and Senior Night at 6:40 p.m. 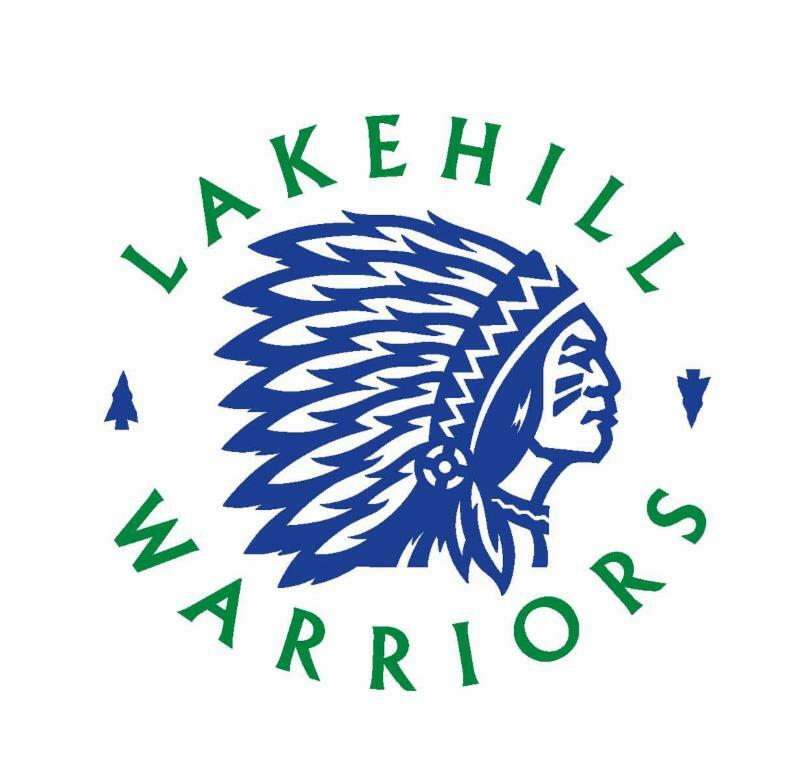 The Lakehill Warrior Middle School Football team finished the season with a 38-14 home victory over Irving Universal. Murray Smith scored three touchdowns to bring his team-leading total to 17 touchdowns for the season. Jon Paul Maney stepped in at quarterback and threw four touchdown passes to lead the offense. Tristan Osang did a great job of snapping the football and catching passes on offense. 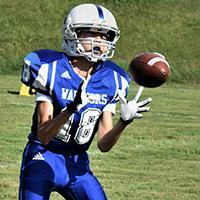 Kellen Khan had a strong season kicking for the Middle School Warriors. See more pictures from Middle School and Varsity Football. 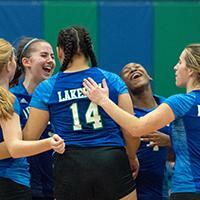 The 2018 season came to an end for the Varsity Volleyball team in the area round of the state playoffs on October 30. The team faced a scrappy Denton Calvary team at home and lost in four sets. The team was led by Maddie Cerda who had 21 kills and Loveth Heard with nine. The defensive effort was led by Tyler McCall and Stella Palmer who had 15 and 12 digs, respectively. Despite the loss, the girls had a great season and will look to come back stronger next year. The team finished the season with 11-1 in district play and 22-6 overall. The Varsity Volleyball team would like to thank the administration, student body, faculty, and parents for all of their support throughout the season. 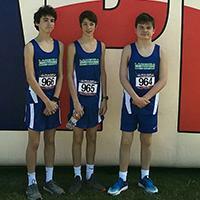 T he Lakehill Varsity Cross Country team competed in the TAPPS State Cross Country Meet on October 29, at Cottonwood Creek Golf Course in Waco . Despite brutally hot conditions, a late race time, and a tough course, the team competed well against a field of mostly upperclassmen. Cullen McCaleb set a new personal record, clocking in at 21:57 and finishing in the top 50 overall and 10th among freshmen. Blake Perry ran a great race with a finish time of 28:59. Harris Jones narrowly missed a personal record with a time of 29:21.
" I am so proud of how far these freshman runners have come this year ," said Head Coach Karen Owen . The team will run its final race of the season in Lakehill's Trek for Tech. 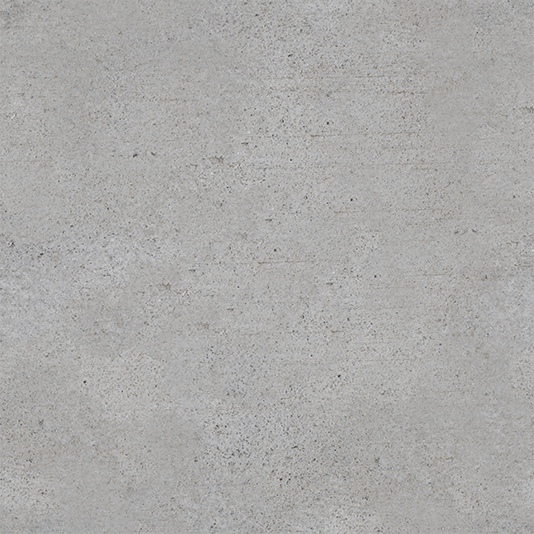 See full results here . Dads' Club Chili Cook-off, 6:00 p.m.
Tell a friend to come see what makes Lakehill great! PFC General Meeting, 8:15 a.m.
Upper School Musical Performance for School, 8:45 a.m.
Kindergarten and First Grade Thanksgiving Feast, 10:45 a.m.
Upper School Musical, The Addams Family , 7:00 p.m.
Upper School Musical, The Addams Family , 2:00 p.m. Teacher of the Year Luncheon, 11:30 a.m. Drama Club Production, 3:35 p.m.
All-School Grandparents Day Rehearsal, 8:45 a.m. Classes Dismiss for Thanksgiving, 11:00 a.m.